We've written the BEST kicking guide book that will dramatically improve your technique, form, and results for a more consistent, straighter, and longer kick or punt. Do you want to improve your accuracy? How about your distance? What about your hang time and height? These are all common goals of kickers and punters. 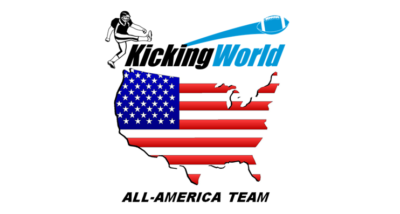 We’ve written the BEST kicking guide book that will dramatically improve your technique, form, and results for a more consistent, straighter, and longer kick or punt. If you want to be the BEST, learn from the BEST. ORDER the ‘Complete Guide to Kicking & Punting’ Today!